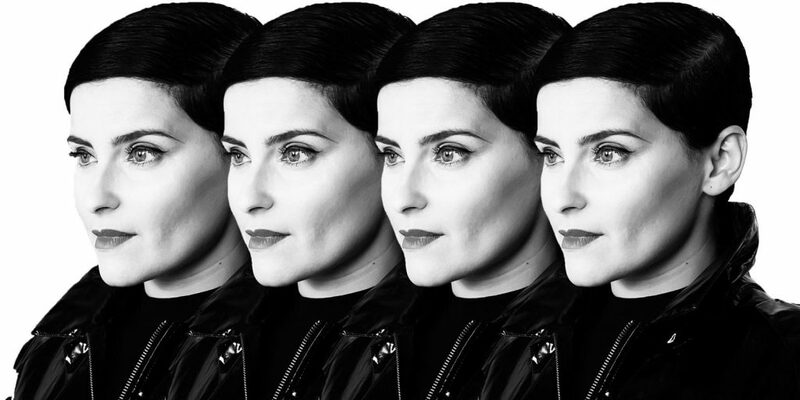 At the onset of 1998, Nelly Furtado was a fresh-faced, bright-eyed, 19-year-old singer-songwriter from Victoria, BC, sharing a partitioned apartment at Yonge and Finch in Toronto with a group of foreign exchange students from Hong Kong. In the nearly 20 years that have since past, Furtado has released five full-length albums, garnered countless international accolades (a BRIT Award, a Latin Grammy Award, a World Music Award, a Billboard Music Award, an MTV EMA, three MuchMusic Video Awards, ten Juno Awards, and a star on Canada’s Walk of Fame), and has sold more than 16 million records worldwide. She’s also amassed four number one singles (“Promiscuous,” “Maneater,” “Say It Right,” and “All Good Things (Must Come To An End)”) all of which appeared on her monstrously popular Timbaland produced album, Loose, and topped the charts at a time when she was being chastised by the music press for daring to suggest that she was in charge of her own sexuality and for having the audacity to wear low-rider jeans. Somewhere in the middle of it all she also grew up, became a mother, a successful businesswoman, a philanthropist, and a wife. And yet, as far as Furtado is concerned, it’s all been part and parcel of the ride. By the summer of that year, Furtado had signed her first record deal with DreamWorks Records out of Los Angeles, and used her first pay cheque to upgrade her accommodations from cramped mid-town commune to an apartment by the beaches in the city’s east end. For as carefree and blissful as that summer was for Furtado, it didn’t come to pass without yielding a few songs that would eventually make it onto her debut album, Whoa, Nelly!—“Turn Off the Light” was one of them. “At the time, I was just kind of a single girl whose dreams were slowly starting to come true. I remember coming home one night to an empty apartment, getting into my bed, kind of hitting my head on the pillow and then immediately getting back up, turning on all of the lights and writing that hook. Even more so than her breakout single “I’m Like A Bird”—which was such a bonafide hit in the fall of 2000 that you couldn’t hide from it if you tried—“Turn Off the Light” established Furtado as a distinct and musically articulate new presence in pop music. It revealed her deeper musical influences—things like folk and world music, B-Boy culture, and other aspects of a burgeoning local DJ scene—and captured the feeling of being a young woman who, although on the cusp of critical acclaim and stardom, was still finding herself. Interestingly, it isn’t hard to see the parallels between the songs on Whoa, Nelly! and Furtado’s forthcoming aptly titled sixth studio album, The Ride. Due out on March 31 via her own imprint, Nelstar Entertainment, in association with 10th St. Entertainment/Eleven Seven Music Group, the album is similarly rooted in a free-wheeling sense of newness and discovery. “When I decided to make this album, I was coming out of a really dark time in my life,” she says thoughtfully. “I had been managing my own career for a year-and-a-half and I don’t know if it was low self-esteem or what was going on with me, but I knew that I just needed to stop. I needed to unpack and distil my life a bit and get back to making music. Songs for the album were written in England, Kenya, Santiago, Chile and what seems like everywhere else in between, and were eventually recorded with the help of Grammy Award-winning producer John Congleton (St. Vincent, Explosions in the Sky, Blondie, Erykah Badu, Franz Ferdinand, etc.) while Furtado was living at the Belmont Hotel in Dallas, and working out of Congleton’s converted funeral home studio, Elmwood Recording. Of Dallas, Furtado spoke only of her love for both the city and the patrons of its warm and lively arts community. Of Congleton, she spoke of her admiration and respect for him as a friend, a producer, and a collaborator. “When Annie Clark [St. Vincent] introduced me to John, I just loved that he was open-minded about us working together and what that could mean. John’s roots are in punk not in pop and he’s worked on a lot of really credible projects over the years, so he wasn’t necessarily impressed by my commercial success; he wanted a real reason to work with me. In listening to The Ride, it is immediately apparent that the album was so much more than just a return to a simpler time for Furtado—it was an exercise in creating something that felt as idiosyncratic as she is. As Furtado sees it, the ride of life has its highs and its lows and sometimes it’s heartbreaking. But, it’s also beautiful, joyous, and at times even thrilling, and all of that is worth celebrating. If there’s anything you should take away from this album, it is a comfort in knowing that it is okay to hop off the ride from time to time to reflect on your experiences and to find out how they’ve shaped the person you’ve become. For this reason, and in spite of all her success, Furtado’s still just a bright-eyed singer-songwriter trying to find herself.